OK, so we’re halfway through the year and the question is, am I halfway through all of my challenges? Let’s see, I’ve put my name down for a lot of challenges this year and at one point I thought my brain was going to spontaneously combust. However, on noting down what I’ve read, it seems I’m on track. Sort of. Not as bad as I thought, although my TBR pile needs some serious seeing to. I’ve also decided that I will allow myself to buy one book with every three books I read from my TBR pile (unless I really need to, of course!) Just to keep the ball rolling. 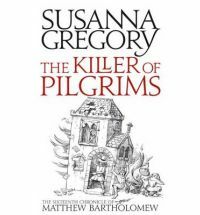 The Killer of Pilgrims by Susanna Gregory – from the lovely people at Little Brown. Matthew Bartholomew and Brother Michael are two of my favourite medieval sleuths. 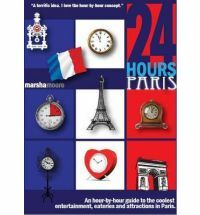 24 Hours Paris by Marsha Moore – which I won from Me and My Big Mouth. My whole family loves Paris and it’s got some great ideas about what to do there hour by hour. 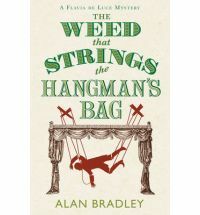 The Weed that Strings the Hangman’s Bag by Alan Bradley – from the lovely people at Orion Books. I have belatedly discovered the delightful Flavia de Luce in the first volume The Sweetness at the Bottom of the Pie and can’t wait to tuck into this one. Shades of Grey by Jasper Fforde – I need a bit of Fforde fiction to tide me over until proper summer is here. I mean it, proper summer. You’re on your way, aren’t you?? You seem to be doing well on your challenges. I doubt I’m as on track as you are. I’ve just got the Sweetness at the Bottom of the Pie – also several other books all got to be finished and returned by Saturday! The Killer of Pilgrims sounds nice. Mystica: Oooh, I’m sure you’ll love ‘Sweetness at the Bottom of the Pie’. It’s a pretty fast read. If you are interested in the Matthew Bartholomew series, I would recommend starting at the beginning with ‘A Plague on Both Your Houses’. ‘The Killer of Pilgrims’ is the 16th in the series and I still love it! Not bad at all! I can’t believe I still haven’t read a single book for the Terry Pratchett challenge. I have read two books for Nymeth’s 1930s reading thing, which is the only one I signed up for. Nymeth: Is that because you’ve read them all already? I’ve only read 1 by Terry Pratchett this year, but I still have Nation to look forward to. Then a couple of re-reads and DVDs. I’m trying to get myself together to read at least one book for your 1930s challenge. I love that period. Argh, don’t taunt me! I messed up recording Going Postal at my sister’s (I don’t have Sky) so I’ll have to check out when they will be showing it again. I’ve read some of the reviews which have been pretty good. I’m glad you liked it – you’re making me want to watch it right now! Too, too tempting as we are planning a short trip to Paris in the beginning of August! Brilliant challenge! I’ve got a couple of French books on my TRB pile (translated, of course, as my French is terrible). And I will be joining you for the JLP4 challenge (how could I not?) I’m just compiling my list of books for it. Even though I was just recently Challenge-Panicky myself, I am actually really enjoying them. I think I’ll continue to join quite a few because I think they make me, um, try harder. ::lol:: They just keep a certain focus for me, although I do think I’ll have to be careful to keep a balance, so the fun factor remains intact! I think they are fun too plus I like making lists of books I want to read 🙂 Panicking once in a while is all part of doing challenges, isn’t it?